Over the years we have all understood ‘WHAT TO EAT’ in order to get the necessary nutrients that our body demands. But, have you ever wondered, HOW TO EAT? Sounds silly right? But, it’s not silly and a very valid question. The way we eat says a lot about how the nutrients will be best available to our body. It could however get very tricky here. While some vitamins can be destroyed while cooking, little heating enhances the absorption of certain nutrients. You must have also heard your coach or diet expert saying that eating foods in certain combinations enhances the absorption of various nutrients. So here is a list of proper ways to consume top 12 foods/beverages in order to get the most bang for your buck. Cooked Tomatoes Vs Raw Tomatoes. 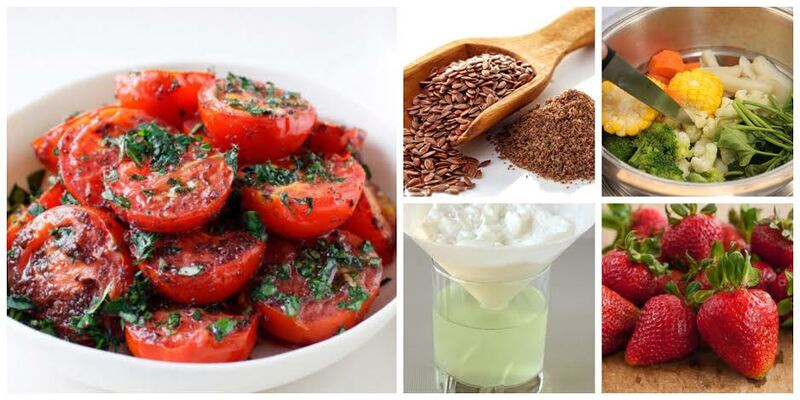 Cooking tomatoes makes them more nutritious and the longer you cook them the better it is. Heat changes the “lycopene” present in them to a form our bodies can readily absorb. So it’s time to SOUP it up! Or cook into pasta sauce, omlettes to benefit from its antioxidant, cancer fighting, bad cholesterol lowering properties in a full blown way. BOILING vegetables: Boiling vegetables is a no-no because water soluble vitamins like Vitamin C leach out and drain into the water. Moreover, it reduces the anti-oxidant content. This phenomenon is especially noticeable in Spinach. Of course if you are going to consume the liquid when making soups, it’s a different thing. Steaming, roasting, sautéing methods of cooking result in more nutritious vegetables on your plate. Absolutely going FAT-FREE with Vegetable Juices / Salads: You can absorb more nutrients from your salads/green juices when you consume them with a wee-bit of fat because most nutrients in them are fat-soluble (Vitamin A, D, E, K ). But, the type of fat can make a difference. For salads: Skip the mayo, add cold pressed coconut oil, olive oil, avocados, egg yolks, nuts and seeds. For green juices: Add a teaspoon of coconut oil for an enhanced absorption. GARLIC: Unlike Vitamin C, allicin is an enzyme found in garlic that benefits from exposure to air. If you mince it and quickly throw it in a pan, you are doing wrong. This enzyme is not activated unless the cell walls are ruptured. Crush / Press those garlic pods instead of mincing, let it sit for 10 minutes before exposing it to the heat so that your finished dish contains maximum amount. With activated Allicin you get to benefit from its anti-inflammatory, anti-fungal , anti-viral , anti-bacterial and cholesterol lowering properties of Garlic . WHOLE GRAINS/BEANS/PULSES: Have you ever noticed how cloudy and dull the water gets once you soak your grains, beans/pulses in it? well it’s because of the because of presence of Phytates, the compound that binds the vitamins/minerals in the food and prevents them from being absorbed by the body. Soaking them overnight releases the phytates and you get the maximum amount of iron and zinc. Not only that ! Soaking them overnight in warm water and then cold for 24 hours followed by cooking them negates the effect of gas formation. So you don’t end up feeling “gassy” . FLAXSEEDS: If you have been sprinkling a spoonful of these into your morning smoothie or onto your yoghurt snack, you have been doing wrong! Our bodies are not capable of digesting “WHOLE” flaxseeds and pass away as it is as poop. In order to reap benefits from these pods, chew them properly. You can either consume them raw or immediately after slightly roasting them. Even flaxseed meal (powdered) works, but make sure its consumption is immediate. i. If you have been draining away the watery fluid floating atop your yogurt , you have been doing wrong . That’s actually whey and it contains proteins, Vitamin B12, calcium and phosphorus. Give your yoghurt a quick stir to retain all its benefits . ii. If you think you are going to get “probiotic” benefits out of yogurt by cooking a hot dish that involves yogurt based gravy or marination, you are wrong .Most live /active cultures ( the “healthy bacteria “ in them ) can’t stand heat and will be destroyed in the cooking process. While you will be getting the protein , calcium , Vitamin D , “probiotic” benefit is something that will be missed out . CARROTS: Cook then cut. Cooking whole carrots and cutting them after they are cooked keeps more nutrients intact. Carrot is one vegetable (tomato is a fruit !) that is better if cooked as heat breaks down its cell walls . BROCCOLI : If you have been boiling , frying , overcooking or even over-steaming broccoli florets , you have been doing wrong . Too much cooking destroys the enzyme that turns a chemical called glucosinolates into cancer fighting agents. Even if you are steaming them, make sure you do it only for 2-3 minutes. STRAWBERRIES : Just 1 serving of these berries takes care of half of your daily Vitamin C requirement . However if you have been cutting your berries prior to eating them , you are doing wrong. The vitamins begin to break down when exposed to light and oxygen (unlike allicin) . So eat them whole . If you want to store them , deep freeze them . Cool temperatures also help them retain their Vitamin C .
CITRUS FOODS: Do you throw away the lemon or orange peels ? You are doing wrong . These citrus peels contain 4 times more fibre and disease fighting flavonoids. -Grate peels just like you do with cheese and store in the freezers. Use them for recipes that call for lemon ‘zest’. -Add peels to a pitcher of water for an effective detox. -Marinate your meats, cottage cheese, fish with your own citrusy rub . TEA: We have been drinking tea more than ever now . But if you have been taking your tea with a splash of milk, you have been doing wrong. Milk proteins bind with catechin in tea, making it difficult for your body to absorb this beneficial compound. So it no-longer turns out to be a heart-healthy drink. Not to mention, the excess amount of sugar many people add to it! There is a saying that ‘it’s not what you EAT, it’s what you DIGEST and ABSORB’! Now the next time you eat these health foods, keep these pointers in mind because a couple of these innocent habits might be preventing you from extracting the most vitamins and minerals from them. This information is extremely valuable; I often see people making many mistakes on this list. While cooking carrots and tomatoes brings the mentioned benefits, it also breaks down complex carbs into sugar. That’s why I would rather suggest a balance between cooked and raw. And for citrus peels, it’s crucial to wash them well (with baking soda, for example) if they’re not organic. Pesticide residues are usually concentrated in the peel.